In my practice as a Minneapolis licensing board lawyer I often see allegations of professional boundaries violations. Not surprisingly, boundaries violations are most prevalent in the fields of social work, counseling, and therapy. 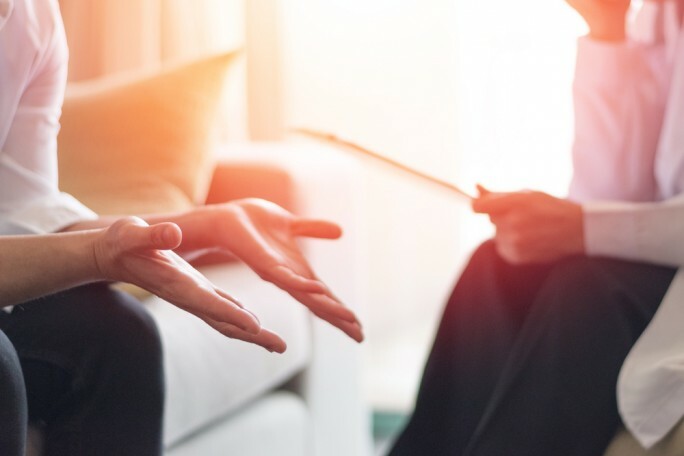 Working in a profession where clients may be struggling to have their basic needs met while also dealing with mental health diagnoses and/or chemical dependency issues often presents licensed social workers and therapists with unique challenges. Not only must you provide your clients with services, but you must do so while firmly upholding clear professional boundaries to ensure that you do not stray beyond your licensed scope of practice or inadvertently interfere with your client's right to self-determination. When combined with the characteristic big heart and desire to help that brings most social workers and therapists to their professions, it is easy to start traveling down the slippery slope to boundaries violations without realizing it. I would like to share the five most common pitfalls for violating professional boundaries that I have witnessed in my practice to help you protect your professional license. 1)	Do not give your client any gifts. Regardless of any economic hardships that your client may be suffering, you should never give any sort of gift to your client. This blurs the professional boundary between you and your client and jeopardizes your client's right to self-determination. 2)	Do not buy your client a meal. This can be a very difficult pitfall to avoid, particularly if your client is struggling to put food on the table. However, it is outside your scope as a professional to provide basic needs. Instead, give your client information on local resources such as food banks or free community meals. 3)	Do not give your client a ride to appointments. Again, if your client has limited resources they may have difficulty finding reliable transportation. However, it is a violation of your professional boundaries to provide transportation for your client. It is never appropriate for your client to be in your personal space, such as your home or car. It is also a violation to pay for cab or bus fare, which would be akin to a gift. 4)	Do not tell inappropriate jokes or relay information that is too personal. Although humor and personal experience can be very effective in relating to a new client, it is important to be cautious about offending someone or potentially bearing too much personal information. It is important to remember that everyone comes from their own unique experiences and what's not offensive to you may be to someone else. A good rule is to only use humor and personal stories that would be appropriate for a kindergartner's ears. 5)	Do not communicate with your client via text message or email. Text message and email tend to be casual forms of communication and it is easy to fall into casual communication styles that are not congruent with professionalism or professional boundaries. Additionally, text messages or emails are vulnerable to misinterpretation and are not secure means of communication. I recommend that communication with clients be solely through telephone as a best practice. If this is not possible and an alternative form of communication must be used, I recommend email. However, be sure your email address is exclusively used for professional purposes, is HIPAA compliant, and keep your message on point and brief. Never communicate with your client via text message and make this your patient policy. These pointers apply to all types of licensed therapists, counselors, and social workers, including the following credentials: LSW, LGSW, LISW, LICSW, LMFT, LPC, LADC, LISCW, LISW, LDAC. Hopefully this has served as a good reminder for some best practices to ensure that you are upholding clear professional boundaries with your clients. If you have any questions about professional boundaries in your practice, or have received allegations from your licensing board, contact me for a free 30-minute consultation. I would be pleased to talk with you. At Lord + Heinlein, we are your powerful legal voice.